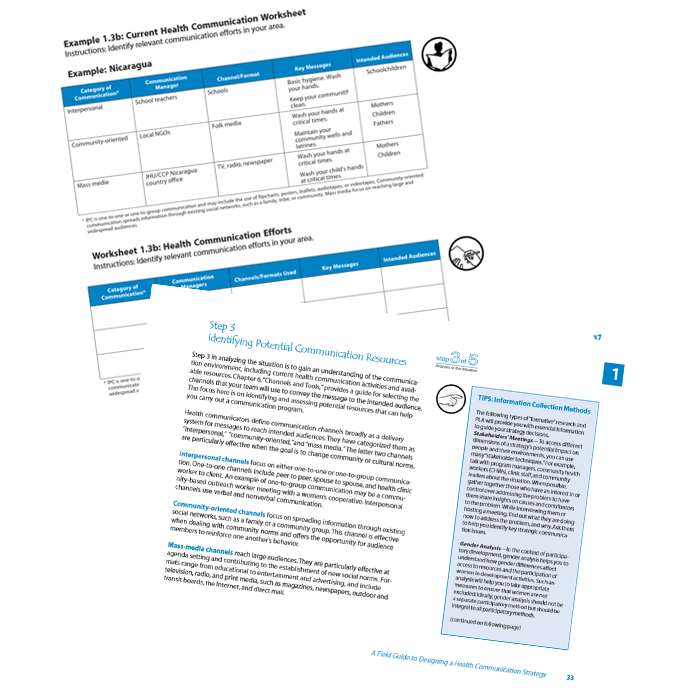 The purpose of this strategic communication Field Guide is to provide practical guidance to those who are planning to design, implement, or support a strategic health communication effort. The Guide is based on many years of experience in the field and is supplemented with real-world examples and case studies. I designed the icons and formatting specifically to appeal to an international audience not necessarily familiar with U.S. or European symbols and for whom English was a second language. 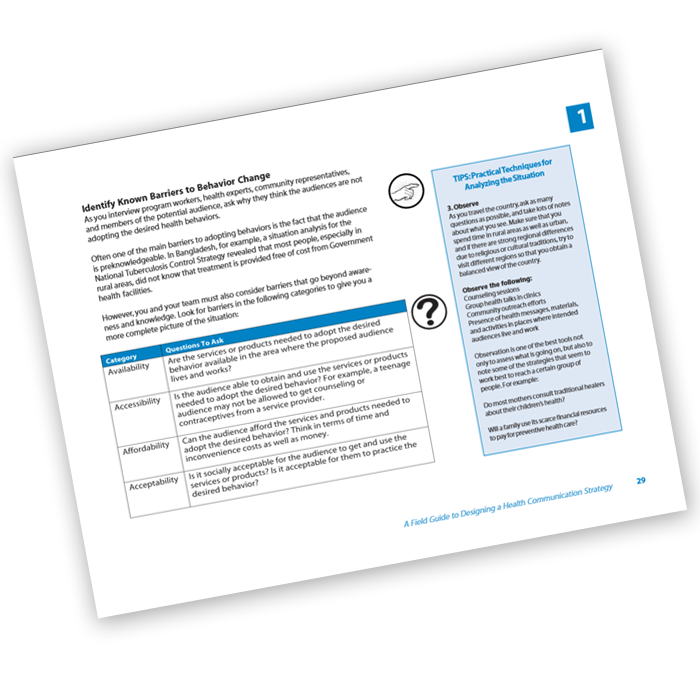 The Guide offers illustrative examples, worksheets, tips and other special features that can be easily identified through the use of icons. 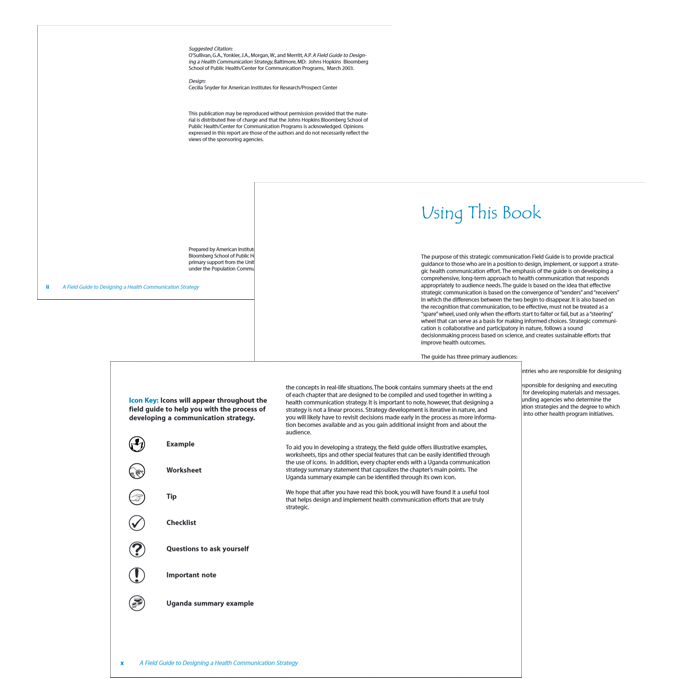 In addition, every chapter ends with a country communication strategy summary statement that capsulizes the chapter’s main points.